Graham and the leadership of his North Carolina-based evangelistic association are planning a massive North America event called My Hope America, where small groups of people will join for dinner in homes and churches to watch a videotaped program that celebrates Graham’s simple and powerful message of Christian salvation. ASHEVILLE, N.C. — At 95 and in frail health, Billy Graham often resists family entreaties to make excursions from his mountaintop home. 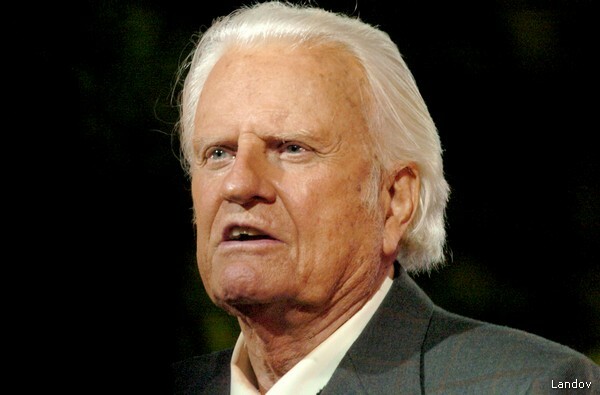 But the nation’s most famous evangelist attended a birthday celebration Thursday night that featured hundreds of well-wishers and what is being characterized as his final sermon. 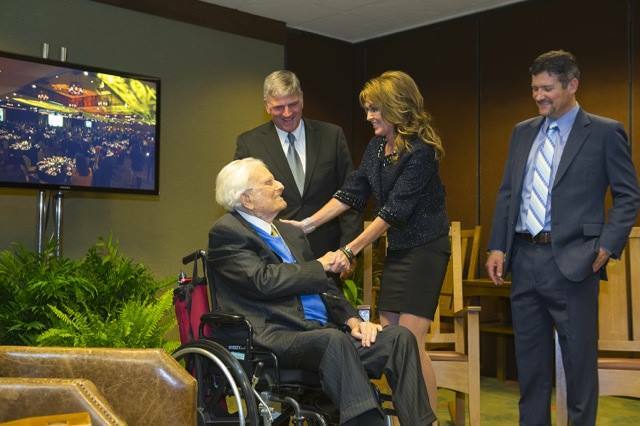 Governor Palin At Billy Graham’s 95th Birthday Celebrations. Read the whole thing.